“The Rabbis' March,” Histories of the National Mall, accessed April 22, 2019, http://mallhistory.org/items/show/278. 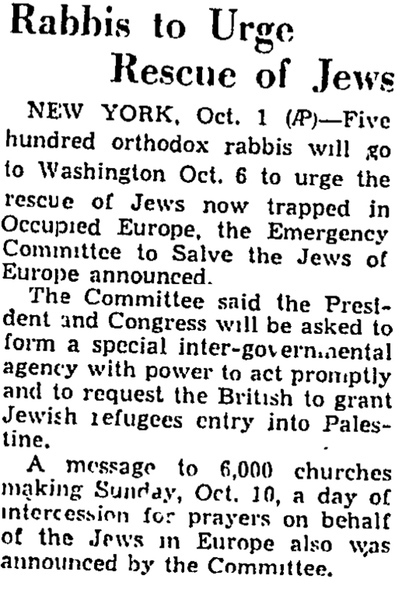 On October 6, 1943, a group of 400 rabbis walked from Union Station to the US Capitol, Lincoln Memorial, and White House in an effort to raise awareness that millions of European Jews were being killed or imprisoned by the Nazi regime. 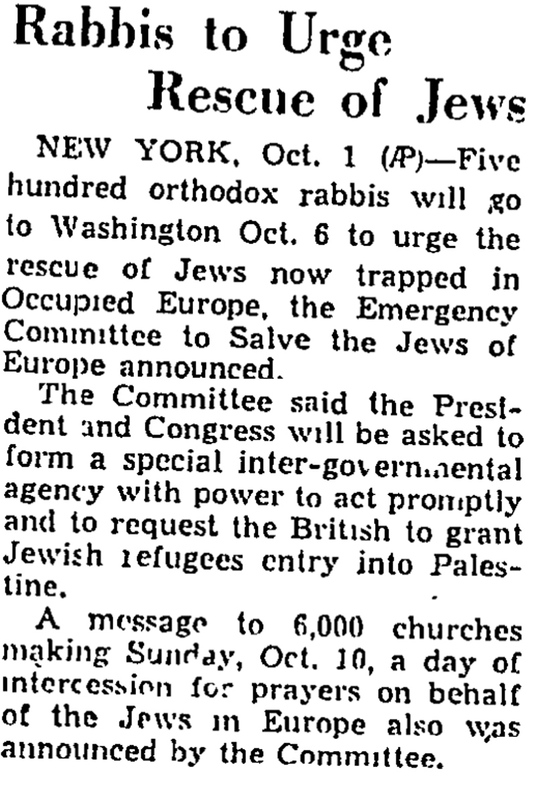 Led by Hillel Kook, the rabbis marched to the White House to urge President Franklin D. Roosevelt in person to resuce Jewish victims of the Holocaust. Roosevelt would not meet with them, but Vice President Henry Wallace accepted a petition from the rabbis calling for immediate US action. Many moderate Jewish leaders opposed the march, but the rabbis march on the Mall caught the attention of the American press, bystanders, and the Roosevelt administration. Jewish Telegraphic Agency (JTA) . View transcript.